These toy floaters are perfect for swimming pools, hot tubs, water features, bathtubs, and for display on mantles or shelves! 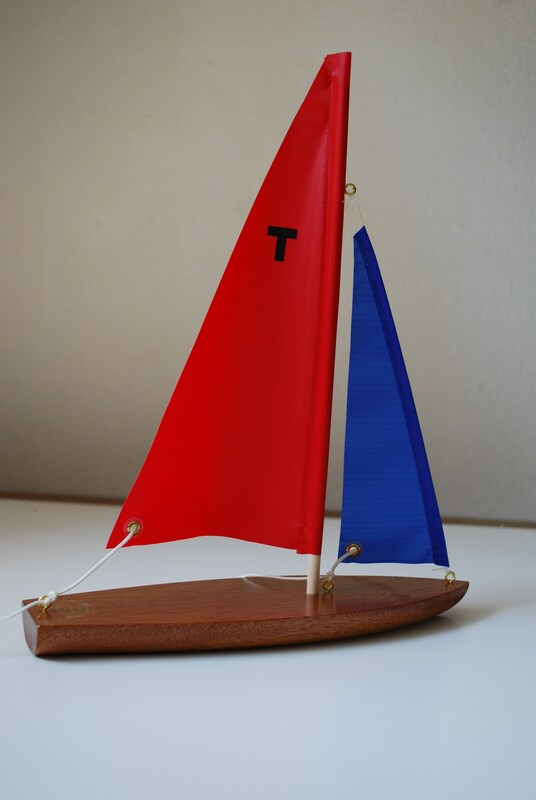 The T10 Sailboat and the T5 Sailboat have flat bottoms (meaning that they don't have a keel), so they do not sail (unlike our free-sailing and remote-controlled boats, which sail beautifully). 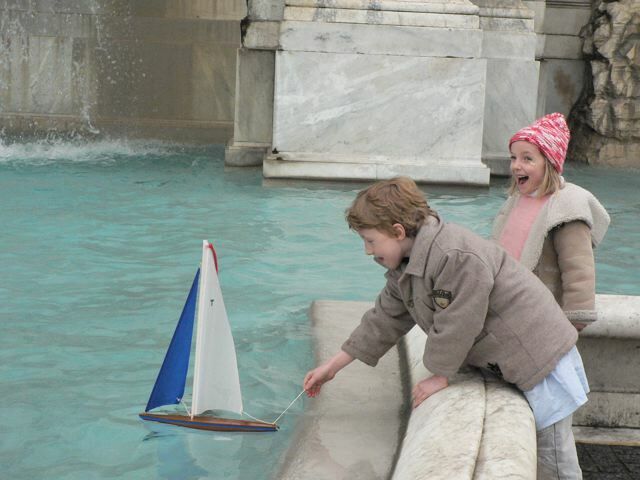 They are very fun to float and play with in the water, and their flat bottoms mean that they are perfect for decorating tables, shelves, mantles, and anywhere else for a fun nautical style or a fun children's play toy! 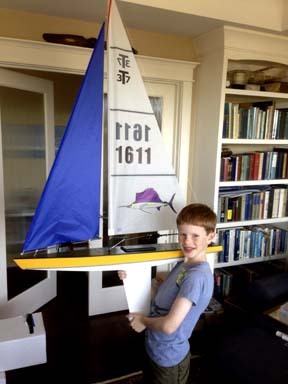 The T10 Sailboat is 10 inches long. Its flat-bottomed hull is made of solid mahogany, coated with a beautiful marine varnish finish. 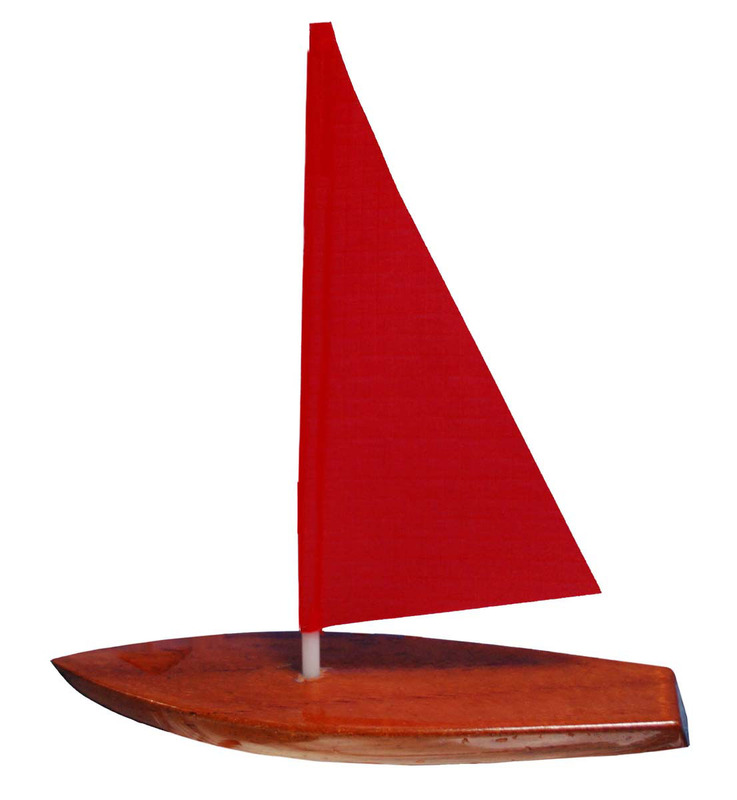 The red and blue sails are made from pre-sewn 3/4 oz nylon spinnaker cloth, and the fittings are all solid brass. 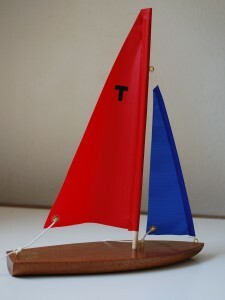 The T10 floats and bobs playfully in the water, but it does not sail. 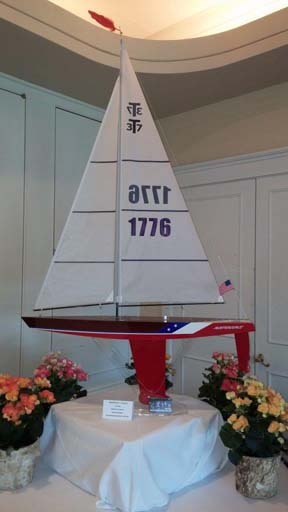 The T10 Sailboat comes fully assembled with a red mainsail and blue jib, and is ready for display or to play with! (Includes small parts. Not for children under 3 years old.) $32.00. Brand new, the T9 is a fun enlargement of the T5. The T9 is a real puller with the solid brass screw eye in the bow. 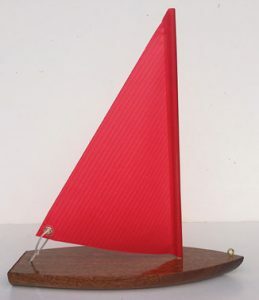 Young sailors who are not confident enough to have their bigger boats sailing far out into the lake on a line can be happy for hours pulling their T9 behind them on a string in ankle-deep water. Perfect for bath time, hot tub play, or rain puddles after a shower. 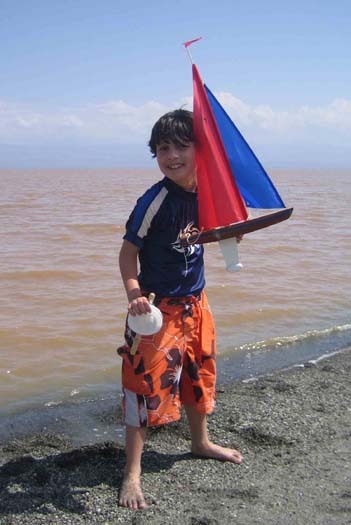 Start a youngster off right with a life of sailing! 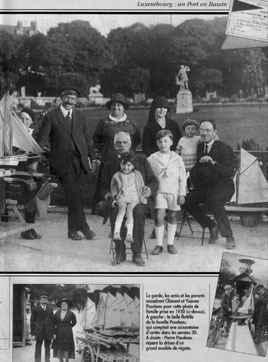 $22.00.